The ideal getaway spot, Sarasota, faces the Gulf of Mexico and as a result, has gorgeous beaches that stay warm year-round. Despite its award-winning beaches, it also has a historic downtown, beach villages, crazy good seafood and the renowned Ringling Museum of Art. As a Sarasota native, I find myself constantly submerged in the arts and continuously impressed by the quiet beauty of Sarasota’s beaches. Check out 24 things to do in 24 hours in Sarasota, Florida. A favorite among visitors and locals, the Ringling Bridge connects downtown Sarasota to St. Armand’s Circle and Lido Beach. The Ringling Bridge shares a namesake with the Ringling Art Museum and Ringling Circus, each named after John Ringling. Ringling gained recognition for purchasing the Barnum and Bailey circus and turning it into the world-famous Ringling Circus. He moved to Sarasota later in life and began developing land here, which helped establish Sarasota. Thus, important landmarks in Sarasota bare his name. 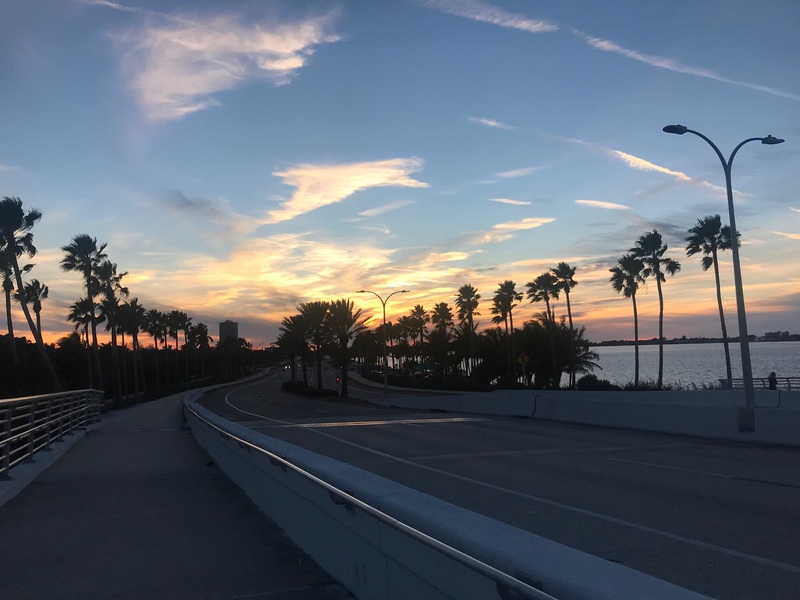 Locals walk or run over the Ringling Bridge in the mornings and early evening to soak up the sun and enjoy the view of the ocean and downtown Sarasota. Underneath the bridge, sits a fishing dock, playground and a small beach, ideal for launching a kayak or paddle board. Overall, Ringling Bridge offers a great place to exercise because most likely you will find yourself so focused on the scenery of the ocean you won’t even realize you have started sweating. Start your morning off feeling flexible and relaxed. This yoga studio offers $5 hot, warm and normal yoga at various times throughout the day and have fabulous registered yoga instructors. Whenever I find myself in town, I only go to this studio. The sessions start and end with savasana, where the lights go off and you lay in corpse pose to relax. After sweating profusely for the past hour it feels amazing. I highly recommend. “Yoga at circsoul is one of my favorite things to do when I’m home because their $5 hot yoga is an inexpensive way to feel rejuvenated after a stressful semester away at school,” University of Florida sophomore Skyler Haber said. You will leave feeling refreshed and ready to take on the day. 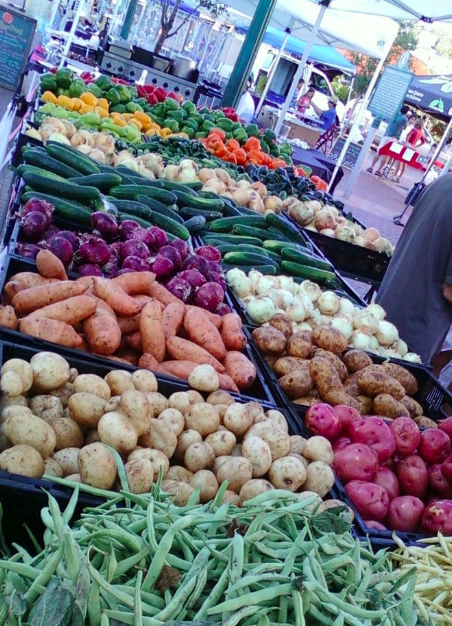 Sarasota has an adorable farmer’s market downtown every Saturday morning from 7:00 a.m. to 1:00 p.m. They have local organic produce, baked goods and artwork from local artists. Lots of people bring their dogs or children to walk around and enjoy the local small businesses and restaurants and locally designed statues and art. The Farmer’s Market offers a great way to get a feel of the local culture: a functional blend of a touristy beach town and high-end arts village. Sarasota’s waters contain an abundance of aquatic life. 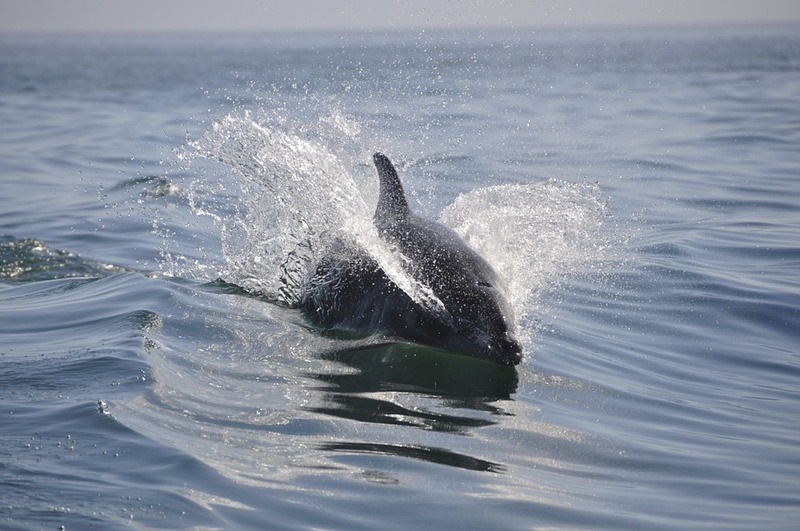 “When I am in Sarasota, one of my favorite things to do is go on an early morning dolphin sightseeing trip. There’s this super cute cruise called LeBarge Tropical Cruise that will take you into Sarasota Bay with a marine biologist to look for manatees and dolphins,” University of South Florida sophomore Brianna Dowd said. The marine biologists on board receive their training from Mote Marine, a marine science research facility and rehabilitation center for injured marine life right in Sarasota, which allows participants to learn more about Mote and Sarasota. This cruise allows you to see Sarasota’s waters, while simultaneously hearing from highly trained marine biologists about Sarasota’s marine life. The Toasted Mango has several locations in Sarasota, one near the Bayfront and one near Siesta. 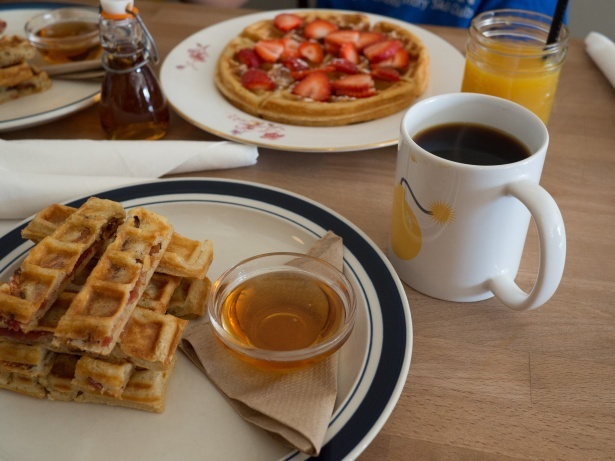 They have breakfast, brunch and lunch and a warm atmosphere. 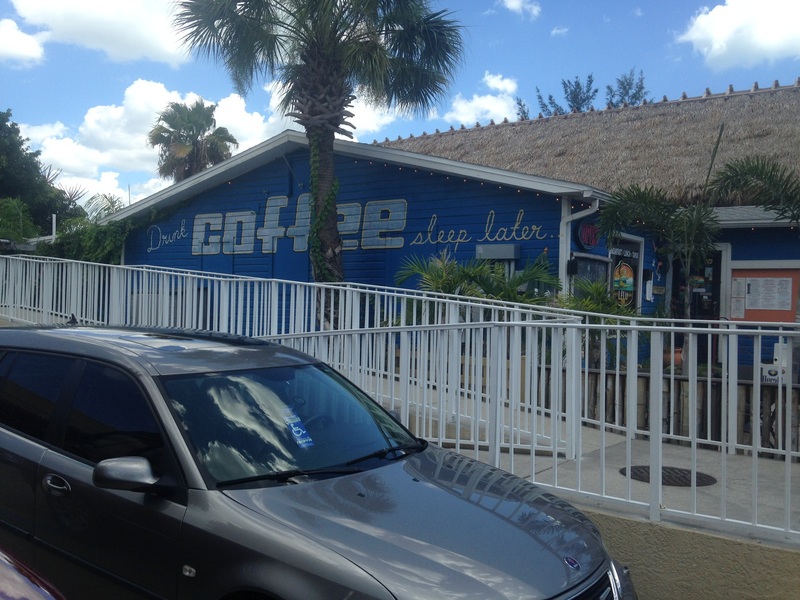 All their restaurants have lots of windows and outdoor seating areas, so guests can enjoy Sarasota’s mild mornings. Locally owned by a Sarasota native and brightly decorated, The Toasted Mango will definitely brighten your morning. It perfectly captures the essence of Sarasota’s lazy beach-side days. Marina Jack’s faces the water and has a clear view of the Ringling Bridge. It contains a small park, a small water park and a locally-owned restaurant that hosts local musicians live almost nightly. “Best place to go when you don’t want to spend money and want to get out of the house,” College of the Holy Cross freshman Rachel Mallet said. Located at the epicenter of Sarasota, you can also walk to downtown and to Selby Gardens from here. “My favorite thing to do in Sarasota is walk around Marina Jack’s [or] Bayfront Park around sunset. In my opinion it is one of the best spots to see the sunset because you’re in the heart of Sarasota and surrounded by water. I usually visit when I come home from college to destress,” University of Florida sophomore Teerth Patel said. This spot offers a gorgeous view of Sarasota’s bay-front any time of day, but especially at sunset. Located downtown and near the water with fresh fish caught daily, Walt’s Fish Market serves as a perfect example of classic Floridian cuisine. Walt’s has a relaxed carefree atmosphere, guests can dine outside or inside among distressed wood and purposefully tacky beach decor. They have a bar that offers local brewed beers and specialty cocktails. And they base their new nightly dinner specials off of the fish that come in that day. Walt’s Fish Market has some of the freshest seafood in Sarasota and a casual vibe, making it an ideal lunch spot for locals and tourists alike. 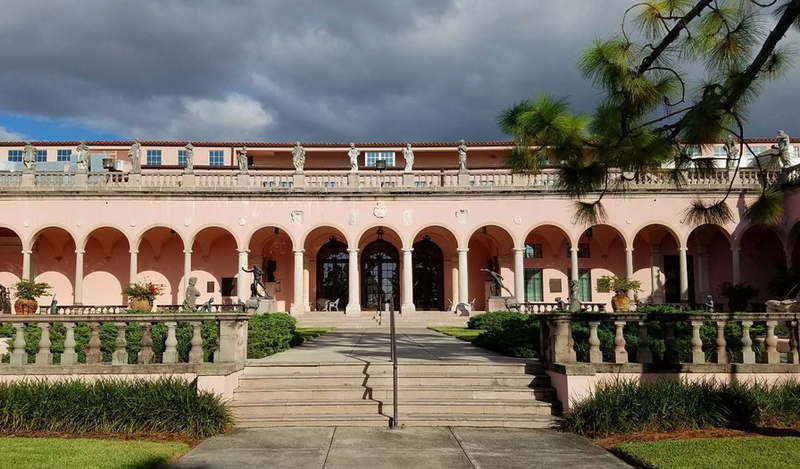 The Ringling Museum boasts a permanent collection of Watercolors and currently has several exhibitions on display: 250 years of the Circus in Print, Fabric of India and Woodblock Prints from Postwar Japan. It houses the famous Ca’d’Zan Mansion, home of John and Mary Ringling, which faces the water. Named after the Ringlings, who established Sarasota’s art prowess, the museum pays tribute to the family. Weddings happen frequently on the grounds outside or even within the house. The beautiful Bayfront Gardens surround the Ca’d’Zan, which serve as the background of every Sarasota high school’s prom photos (including mine). Ringling’s reputation persists well beyond Sarasota, attracting visitors from across the country every year. 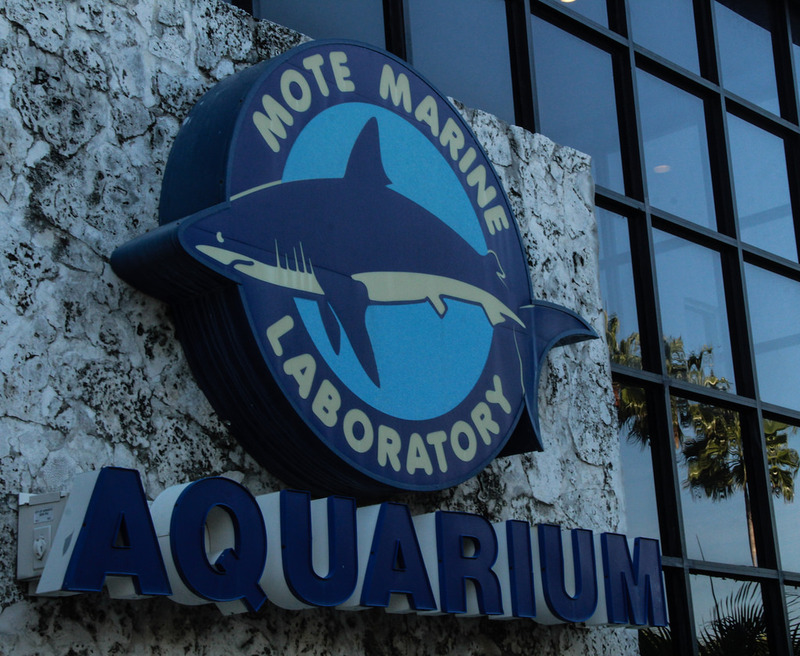 Mote Marine Laboratory and Aquarium, an independent nonprofit marine research institution, has world-class marine scientists committed to conservation and sustainable use of oceans, beginning with research and public education. They host summer camps, volunteer programs and tours daily to educate the public on marine life and responsible ways to fish and boat. Their research programs originally focused on sharks and now have expanded to include studies of human cancer using marine models. 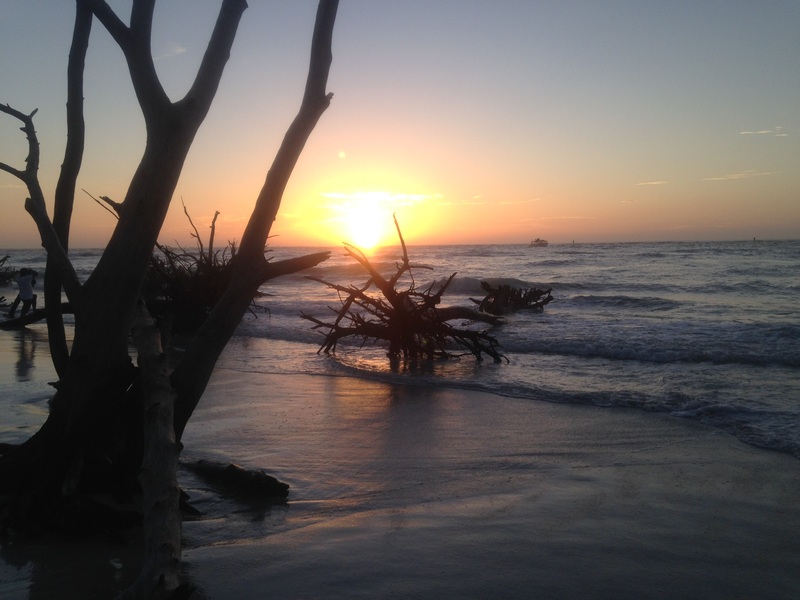 “As a lover of marine biology, Mote is a unique experience for all guests,” University of South Florida freshman Kelli Elliott said. Ultimately, this unique laboratory and aquarium must make it on your itinerary. Get lost among exotic plants and lush flowers at Selby Botanical Gardens, located on Sarasota’s Bayfront. At Selby, you will get the opportunity to walk through sprawling gardens, rare plants and an orchid garden, while learning about flora and fauna. Selby Gardens even has a one-acre children’s rainforest garden, the home of Marie Selby and orchid displays. The Gardens open daily at 10:00 a.m. and close at 5:00 p.m. and during Christmas time, they stay open later for light displays they called Lights in Bloom. St. Armand’s Circle, an island removed from the city by two bridges over Sarasota Bay, has fine dining and local boutiques. “Lido Beach and St. Armand’s Circle are two of my favorite places to be. The beauty and tranquility of the beach is great for any mood you’re in, and St. Armand’s Circle has something fun for all ages, whether it is all the shopping you can do or dining at the delicious restaurants that are there,” State College of Florida sophomore Sophia Helme said. Literally centered around a small circular park, St. Armand’s Circle has earned its name. 33 statues from Ringling call the circle their home. These statues and the small park make St. Armand’s feel artsy and drenched in history. Situated next to Lido Beach, you can easily walk from St. Armand’s to beach, to swim or to watch the sunset. 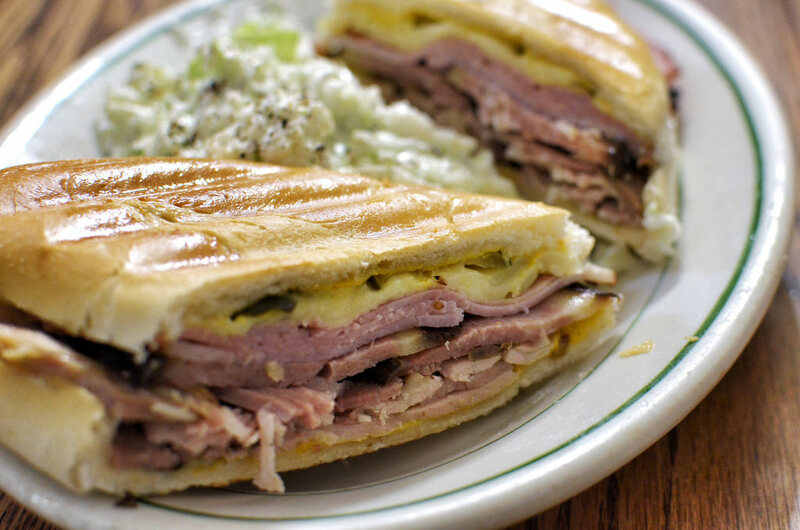 Located in St. Armand’s Circle the Columba offers incredible Spanish and Cuban food. It has become a cornerstone to St. Armand and Sarasota’s foodie culture. The Sarasota location boasts the title of most attractive restaurant because of its huge windows and a hand painted tile dining room. Open 365 days a year for lunch and dinner and with vegan, gluten-free and vegetarian options the Columbia provides options for everyone. The restaurant has received recognition for its classic ‘1905 salad,’ Cuban bread, seafood and sangria by St. Armand’s Magazine and Southern Living, and I could not agree more. “I love the 1905 salad,” University of Florida senior Wisam Fares said. If you go before mid-May, you can order fresh stone crabs: chilled, steamed or broiled with Latin spices. The Sailor Circus or “The Greatest ‘Little’ Show on Earth” has over a hundred of its own students perform in their public full-length shows and has no animal acts. Their teaching program, Sailor Circus Academy, one of the top circus schools in the United States, caters to children and teenagers from eight to 18 years of age. Tucked away in a small tent next to Sarasota High School, the circus first appears small and amateur. 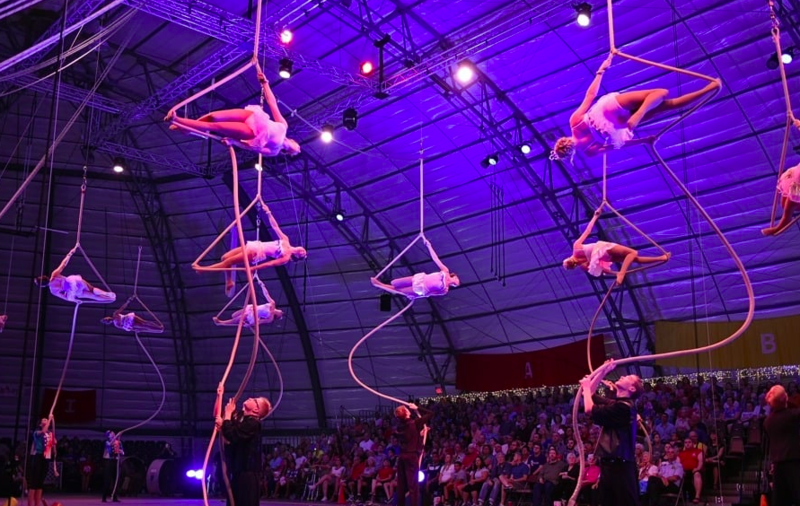 But at a show, you will get to see circus acts such as the high wire, hand balancing, flying trapeze, juggling, clowning and much more performed at a professional level. This show offers something for everyone. 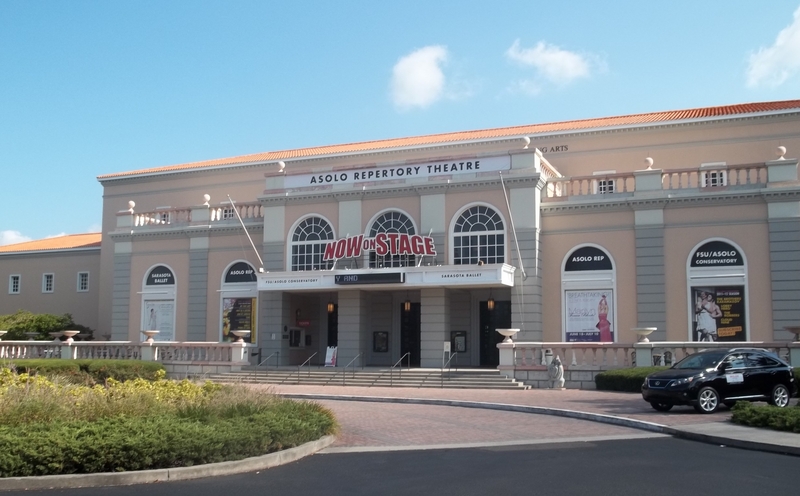 ASOLO Repertory Theatre, Florida’s largest not-for-profit professional theatre, puts on up to 15 productions per season including new plays, classical plays and contemporary works. ASOLO also continues to financially contribute to Sarasota’s rich art scene. The theatre even has an ongoing partnership with the Florida State University and ranks in the top ten actor training programs in the country. They also serve as a major force to increase awareness of the arts in Sarasota and train future actors. 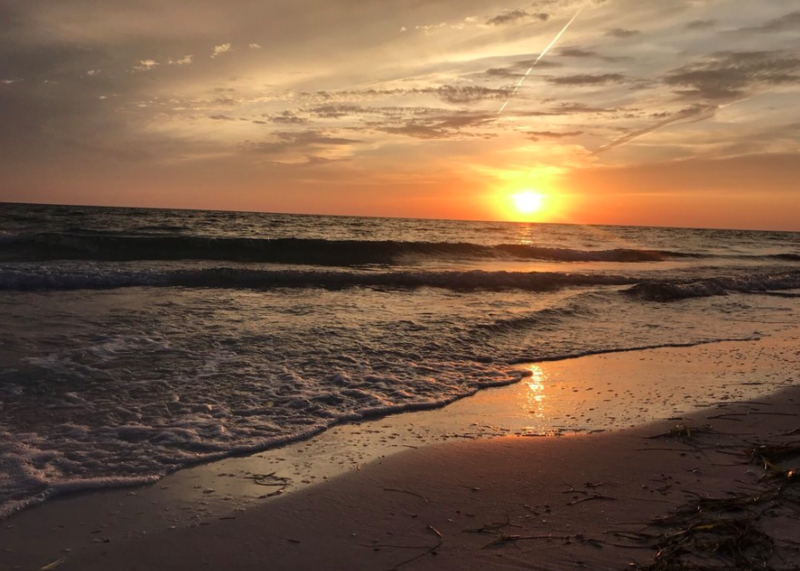 Siesta Key beaches have national recognition for their sugar-like white sand and it faces the Gulf of Mexico, so the water remains warm and calm year-round. It sits adjacent to Siesta Village and Turtle Beach lies only a few miles away. “I love Sarasota beaches because of the soft sand and the gorgeous sunsets,” Florida International University freshman Lauren Hamalian said. Siesta looks gorgeous anytime of day, but the breathtaking sunsets steal the show, to which tourists flock to Sarasota to see. 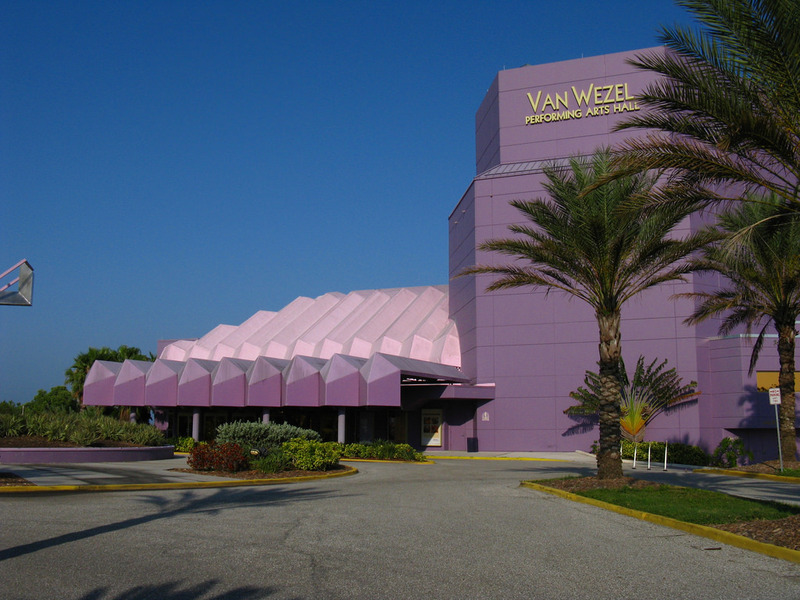 The Van Wezel, an architectural landmark, hosts comedy, dance, music and theatre performances. Built in 1969, with funds from the Van Wezels, and renovated in 2000, it has become a token piece of Sarasota’s culture. It can hold 1,736 people and the terrace opens up to Sarasota’s Bayfront, which has 1,500 more seats. If you find yourself searching for date ideas, or looking for a classy night out, see a performance at the Van Wezel. 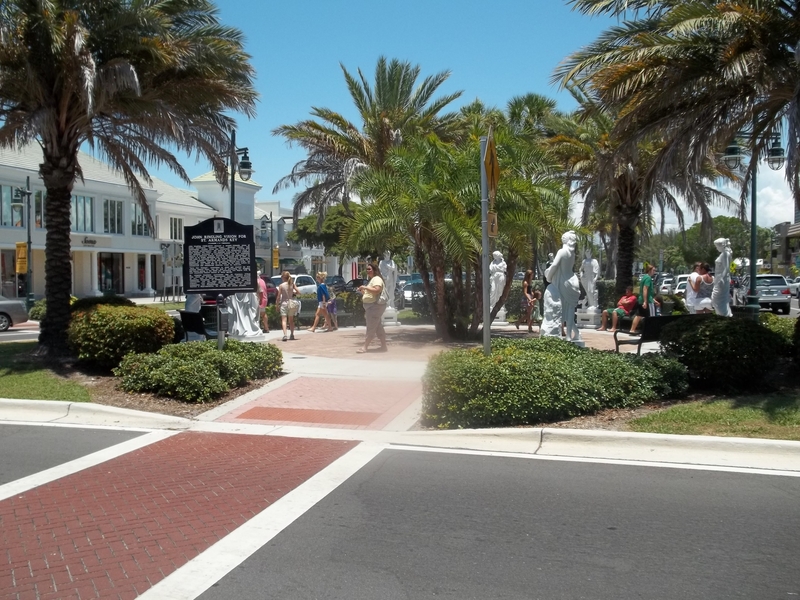 Siesta Key Village or as locals call it, “The Village,” boasts shopping, dining and partying. “In Siesta Village, it is a tradition to visit the doughnut shop with my family. Every time I come home from school we take a trip down, and it makes me so happy,” Smith College Sophomore McKensie Murray said. The Village plays host to festivals and art shows frequently throughout the year as well. Filled with about 100 stores and cafes, you’ll find something that peaks your interest. Bursting with energy, Siesta Village has an excited, chaotic atmosphere, filled with tourists and locals. If you want a place to walk around and get a feel of Sarasota’s beach culture, The Village will do that. 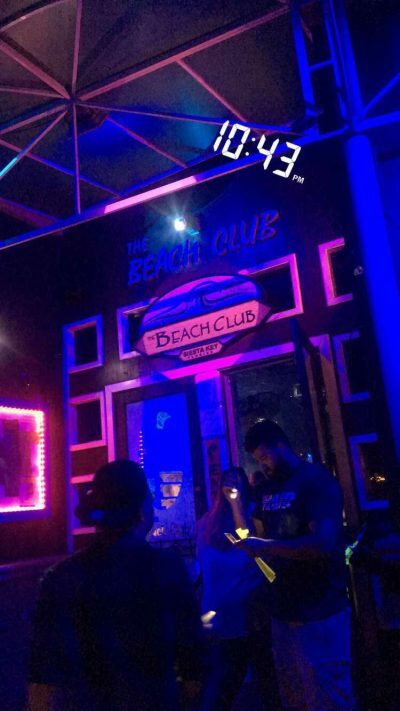 Located in Siesta Village, the Beach Club attracts mostly college students in the area. A short walk to the water and with a tiki bar vibe, the name fits. It offers a huge dance floor, good music and for my 21 and over readers, drink specials and fun specialty drinks. They rotate between live music and DJs, depending on the night. 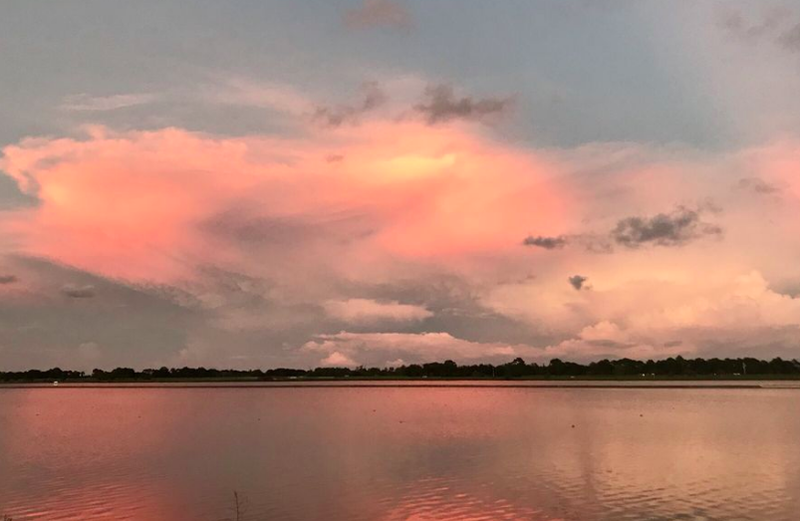 The Celery Fields or “The Hill,” as locals call it, serves a wetlands restoration of over a 100 acres and houses a large number of diverse bird species and even some alligators. “Whether it’s watching the sunset over one of the many lakes, walking your dog or just laying in the grass listening to music and watching the day go by, it is a place I enjoy. 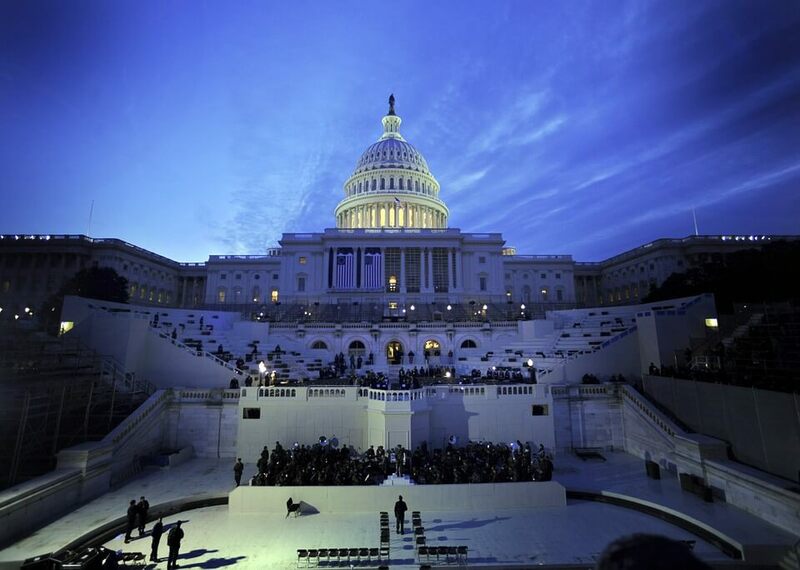 It is a place I grew up with,” University of Wisconsin-Madison freshman Miles Perkins said. The Celery Fields earned its title, “The Hill” because it also contains the only literal hill in Sarasota, which makes this a popular destination for locals to exercise. Whether you want to birdwatch, relax or burn some calories the Celery Fields offers something for you. 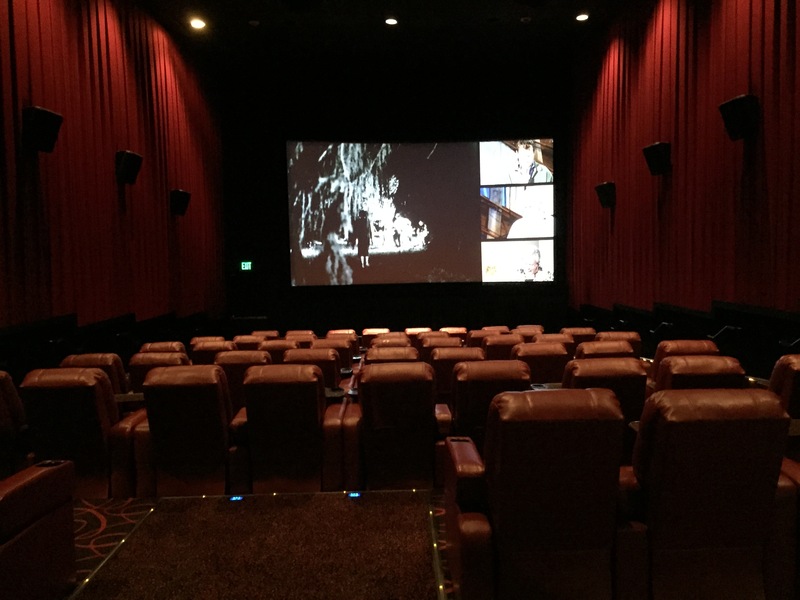 Its downtown location makes Hollywood 20 the ideal place to watch movies in Sarasota. Despite its recent renovation, this movie theatre still has that classic theatre charm and atmosphere: velvet curtains, neon lighted sign outside and an old-school concession stand. It also has the cheapest tickets in town, which draws in the college and high school students. 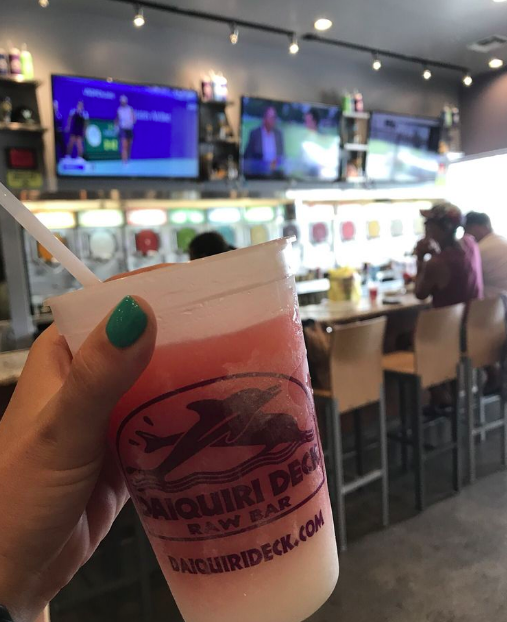 The three Daiquiri Decks in Sarasota boast prime locations: Siesta Key Village, South Siesta Key and St. Armand’s Circle. They have fresh seafood, drinks and late-night food. (The late night aspect remains especially note-worthy because a lot of things in Sarasota close aggressively early). They also have a large variety of oysters and a Raw Bar with clams, ceviche, tuna and crab. The Daiquiri Deck offers quick access to the beach, a view of the ocean and delicious food. Myakka covers over 37,000 acres in Sarasota and portions in Manatee County as well. Myakka, one of Florida’s oldest and largest parks, has a boardwalk for viewing wildlife and a canopy walkway above the treetops. The Myakka River flows through 58 square miles of the park, in addition to two other lakes. Visitors can camp, rent cabins, fish, canoe and kayak. 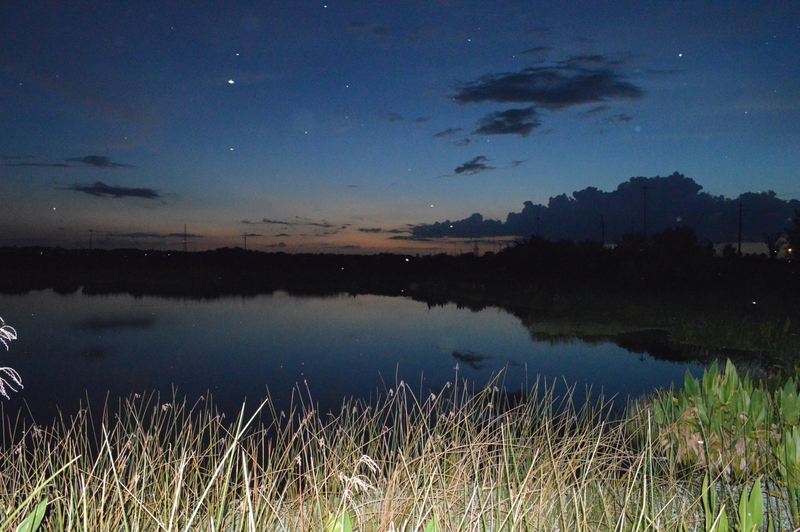 It has a gorgeous view of the night sky, which makes it an ideal place to stargaze when mosquitos stay away. 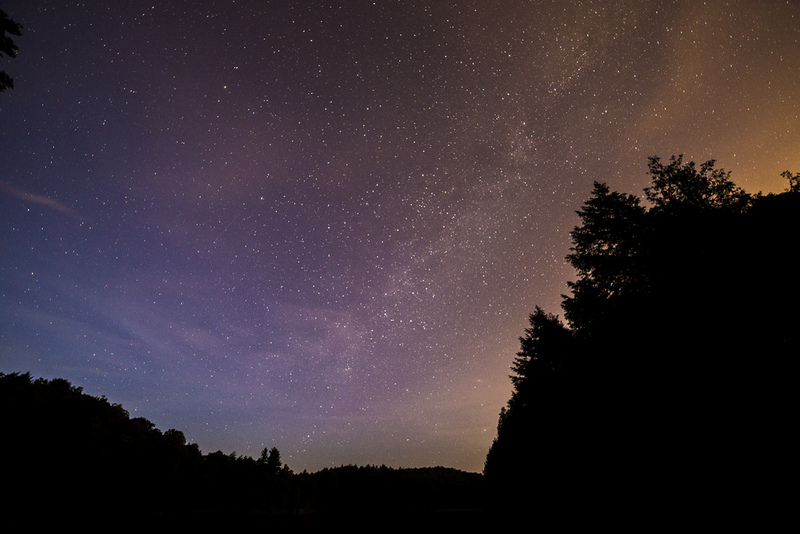 Florida tends to be warm year round, and relatively cloud free, so on a good night (which occur frequently) you should be able to see an abundance of stars with relatively little light pollution. Centered around a 400-acre manmade lake, Nathan Benderson Park earned its title as a first-class rowing facility, attracting rowers from around the world. The park now has regular regatta competitions and grand stands for spectators. A path winds around an aggressively blue lake, making it an ideal place to run, walk or bike. It also has sprawling grassy fields perfect for a picnic. In the wee hours of the morning, you can mist spiraling above the lake, making it a beautiful early morning walk. Longboat Key, one of Sarasota’s less famous treasures, has gorgeous beaches, amazing restaurants and boasts better parking. It contains Beer Can Island, do not let the name deceive you, because it contains one of the most beautiful beach spots in Sarasota, tricky to find but well worth finding. Secluded and home to unique trees, it feels serene and exciting all at once. In the morning, you can see the swirl of mellow blues and pinks of the sun rise over the water. A great spot for sunrises, sunsets, picnics and pictures, you must definitely check it out.